If you're after Cheap Cruises head straight to http://cheap-cruises.com.au. 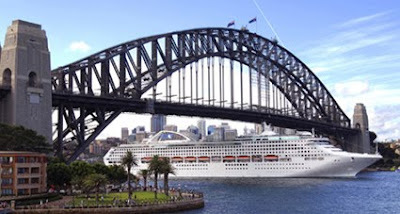 Some cruises there are discounted up to 58%, like the P&O Island Wonders Cruise aboard the Pacific Dawn, which departs and finishes in Brisbane, taking in Noumea, Mystery Island, Port Vila and Pentecost Island. According to a story on http://www.etravelblackboard.com, Pacific Dawn took the spirit of Christmas into the South Pacific this season, with Santa Claus delivering gifts to children at Isle of Pines, Mystery Island, Lifou and Vila. 1200 gifts -- including pencils, paints and brushes, paper, reading books and musical instruments -- were donated by P&O Cruises, Carnival Australia staff and Sydney's Hurstville Grove Infants School in Sydney and distributed to children by Pacific Dawn’s crew. “The people of the South Pacific welcome our passengers so warmly each time we visit, this was one way of giving something back,” said John Nell, Director of Shore Operations at P&O Cruises. Looking for Cruise Deals NZ ?